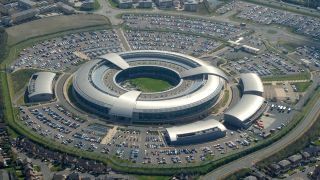 The headquarters of the GCHQ is also known as the donut. Computer Network Operation Specialists is how the British government describes what is commonly known – to the rest of the world - as hackers. GCHQ, the UK-equivalent of the NSA, wants to recruit a few of them according to a news article posted on the organisation's website. It is looking for "committed and responsible" individuals who have the "potential to carry out computer networks operations to keep the UK safe." The starting annual salary is just under £28,000, which is probably below what equivalent jobs would pay in the private sector, but then you get to legitimately fight terrorists online there and claim to be a spy. Selected candidates are expected to assist in "detecting and preventing attempts to attack the critical national infrastructure, or seeking to defend government systems against criminals seeking to steal information, identities or money." The announcement comes just days after the Tories were voted back to power, without their previous partner, the Liberal Democrats, and have already confirmed that they will push ahead the Draft Communications Data Bill.